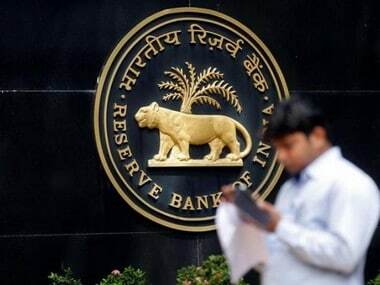 The RBI on Thursday maintained the status quo on its key short-term lending rate, at six percent, along with its 'neutral' stance, at the first bi-monthly monetary policy review of the new fiscal, in line with what was being widely expected. This is the fourth policy review in succession that the Reserve Bank of India's (RBI) six-member Monetary Policy Committee (MPC) has kept the repo, or short-term interest rate for commercial banks, unchanged, according to the RBI monetary policy statement, reported the IANS. More than the RBI decision to keep rates unchanged, the tone of the policy is a pleasant surprise for the market. The decision to revise downwards the inflation projections and upwards the growth numbers is the best one could have asked for! Simultaneously, the several changes on the regulatory front, specifically the broadening of the IRS market and encouraging trading in STRIPS among others are some changes which are positive developments. The mooting of the idea of a Central Bank digital currency is a futuristic idea. Finally, the introduction of a mandatory loan requirement in working capital loans will provide the much-needed credit discipline. The first bi-monthly policy of RBI for FY2019 was as per expectations with RBI keeping repo rate unchanged at 6 percent whilst maintain the stance at 'neutral'. The policy language was softer than the previous policy with RBI acknowledging that inflation has been lower than RBI estimates and further reduced inflation expectation for 1HFY2019 to 4.7 percent-5.1 percent (from previous 5.1 percent-5.6 percent) and 4.4 percent in 2HFY2019. The MPC continued to highlight risks from higher oil prices, HRA increase by states, higher MSPs and possible fiscal slippage for Centre and states and noted that risks were tilted to the upside. On growth the MPC was positive and projected GDP for FY2019 at 7.4 percent. Overall the tone of policy was dovish, with five member voting for a pause and one member voting for a 25bps rate hike. No change was expected as also neutrality is maintained. The inflation outlook has been reduced a bit, but the confidence of it dipping below 4 percent seems absent. On the other side, they have also maintained the upside risks to inflation. Thus, given the current projected path in inflation, there is limited chance for RBI to react either ways. We maintain our expectations of RBI staying on hold for an expected period and through FY19. Despite sharp correction in food prices in the last two months, RBI's status quo in the annual policy review was anticipated. Ongoing normalization of interest rates in US, higher global crude oil prices, and the looming threat of escalation in global trade war warranted a cautious approach. The neutral stance is also justified by government's proposed recalibration of Minimum Support Prices to 1.5x the cost of production for the upcoming kharif season. I believe the growth baton is now firmly in Government's hands as it is actively facilitating the revival of private investments. Additionally, with improvement in momentum of the asset resolution process, growth appetite should get ploughed back. On anticipated lines, the Monetary Policy Committee (MPC) in its first bi-monthly policy statement of FY 2018-19 kept the policy rate steady on domestic and global cues. While presenting a positive view on the consumption front, the Reserve Bank of India (RBI) also suggested risks on the inflation front. The RBI has expectedly taken a hawkish stance and is likely to stick with its objective to keep inflation within the (4 +/- 2 percent range. As rightly pointed out by the policy statement, financial sector volatility and brewing trade wars are likely to becoming cause of further tension yielding less than favourable results for domestic trade activity as well as capital markets. The outlook on inflation continue to remain data depended but risks remain largely to the upside, especially coming from expectation of crude oil price rise due to international output cuts, further hardening of domestic consumption, and continued impact of HRA increase. Even so, the policy has speculated food price inflation to remain within comfortable range and is likely to ease inflationary pressures to some extent. Considering this, inflationary expectations have been revised downwards to 4.7-5.1 percent in H1 and 4.4 percent in H2 of the next fiscal year with risks tilted to the upside. As expected RBI in its first bi monthly monetary policy statement for 2018-19 kept the policy rate unchanged at 6 percent. Also the tone of the policy commentary suggest that despite several uncertainties surrounding the inflation trajectory, RBI is not in a hurry to change its neutral stance of monetary policy. Although RBI has listed a number of issues such as - (i) revised MSP announced in the FY19 Union Budget, (ii) staggered impact of HRA revisions by various state governments, (iii) another round of fiscal slippage both at the central and select state governments and (iv) industrial outlook survey of RBI indicating rise in input and output prices and (v) volatility in crude oil prices - to put pressure on inflation during the coming months, it is still hopeful of CPI remaining in the range of 4.7 percent-5.1 percent during 1HFY19 and 4.4 percent in 2HFY19. India Ratings and Research therefore believes that RBI may remain in a pause mode in the near term so far as policy rate is concerned. RBI has kept the Benchmark Policy Rate- Repo unchanged at 6 percent in its first bi-monthly monetary policy (2018-19). The move shows the RBI’s view on softened retail inflation in recent months. More importantly, RBI has revised down its CPI forecast to 4.7-5.1 percent in first half and 4.4 percent in the second half of FY 2018-19. On the growth side, RBI has projected better GDP growth in the current fiscal. GDP growth is projected from 6.6 percent in 2017-18 to 7.4 percent in 2018-19, with evenly balanced risks. At the same time this takes note of some near-term risk like, inflationary push from any fiscal slippages, lack-luster monsoon, volatile crude oil price, etc. Also, the IndAS implementations have been deferred by one more year, which will give the banks some time to align with the required changes. This reiterates RBI’s commitment to manage inflation at 4% level, while taking care of real economy growth at the same time. Moreover, the intent of the policy seems neutral and sends signals for supporting growth in near-term. In line with our expectation, MPC maintained status quo in today’s monetary policy. The recent softening in retail inflation that had firmed up during early months of winter, supported RBI’s decision to maintain status-quo. The recent moderation also supported a downward revision to RBI’s forecasts for FY19 CPI inflation. However, we expect headline CPI inflation to overshoot RBI’s forecast. We expect retail inflation to remain in the range of 4.7 percent-5.6 percent in H1 FY19 (vs. RBI’s forecast of 4.7 percent-5.1 percent) and 3.7 percent-5 percent in H2 FY19 (vs. RBI’s forecast of 4.4 percent). We believe factors such as the expected trajectory of food prices (following new formula for MSP revision), trend in crude oil and other commodity prices and outlook for South West Monsoon will remain key in determining policy trajectory. We expect one rate hike of 25 bps towards second half of FY19. RBI has decided to hold the key policy rates in the first monetary policy decision for 2018-19. While status quo on policy rates were on expected lines, the Goldilocks scenario that RBI has outlined for the new fiscal- with higher growth expectations and lower inflationary forecasts- could very well indicate rates on hold for the whole year. It will boost the general market sentiments and bond markets in particular. The fact that the committee has looked through the volatility episodes in financial market to balance the tightrope walk between rising global rates and nascent domestic growth reiterates its “data dependency” approach. Quite ambivalent given the risks, but with a dovish bias. Could harden if risks mentioned do pan out. The tone of the policy is fairly hawkish. It has got several upside risks to inflation including domestic demand, the impact of the revisions of the MSP formula for farmers and also there is some concern over higher global oil prices. Although the RBI has revised down forecasts on inflation, that was mainly on the basis that CPI is slightly weaker than expected. We expect a policy rate hike by October this year. The status quo in today’s policy is in line with expectations. We don’t anticipate a change in the repo rate or stance of monetary policy until greater clarity emerges towards the second half of the year on the impact of MSPs and monsoon on the inflation trajectory. The tone of the policy is in line with expectation. We are already saying inflation could undershoot by 40-60 bps and it has been stated in the policy. The policy indicates inflation numbers could undershoot market expectations. My sense is that this will augur well for financial markets, which have been plagued by uncertainties. We are expecting a prolonged pause with a tilt towards accommodation. The recent fall in inflation and recovering growth have supported the case for status quo. However, rising oil and commodity prices and higher minimum support price for farm products are seen as threats to easing inflation. RBI still expects inflation to come down slightly. The estimate for inflation has been brought down. The tone is in line with expectations, but RBI could toughen up its tone going ahead. The policy outcome was along expected lines with the MPC maintaining the balanced tone that was evident in February also. By lowering both H1 and H2 CPI forecasts, MPC has internalised recent softening in food prices. However, they have turned more positive on growth while noting that output gap is closing. As such, we believe that upside risks to CPI will materialise once government implements its promise of 1.5x MSP. Along with improvement in growth outlook this will provide enough reasons for the MPC to hike rates. We expect the first rate hike to happen in August. The policy maker will be careful of not stifling growth at the early stages of recovery. RBI would have to do a tightrope walk as globally interest rates are inching upwards. The next cut would be dependent on clarity of monsoon, sustainability of crude oil prices and global financial conditions. We believe RBI will maintain its status quo stance in the near future. The MPC statement was more dovish than expected, particularly the cut in inflation forecasts. Nevertheless, the policy statement highlights upside risks to inflation. We expect inflation to be slightly higher than the RBI’s forecast by around 50bp, and therefore continue to expect one 25bp rate hike in FY19. 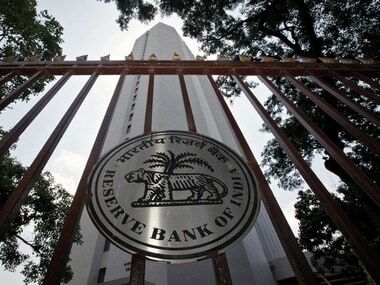 RBI credit policy was in line with market expectation in terms of maintaining status quo on policy rates. What made the policy eventful was sharp reduction in inflation forecast for FY19. Though stance on policy rate was as anticipated given the backdrop of government assertion that both fiscal deficit and revenue shortfall in FY18 would be lower than revised budget estimate and that market borrowing would be only Rs 2.88 lakh crore in 1HFY19 as against Rs 3.72 lakh crore in 1HFY18. Falling food inflation was hinting at lower inflation as far as first half of FY19 is concerned but the way RBI has lowered inflation forecast for the full financial year 2018-19 hints that there would be a long pause in RBI policy rate and there would not be any rate raise this calendar year. Though we believe there remain three key uncertainties - fiscal deficit in FY19, inflation particularly food in second half and pace of normalization of US monetary policy. But today’s RBI policy surely soothes nerves of Indian investors in an immediate sense. As was widely expected by market, RBI kept key rates on hold and maintained their neutral stance with a vote of 5-1 in favour of the decision. The lowering of inflation forecast for H1 2018-19 (4.7 to 5.1 percent range) and H2 (4.4 percent) is positive for the markets and should aid in rally in gilt and bond prices. 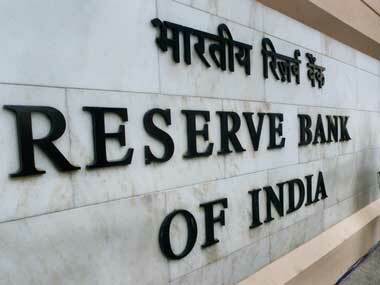 However it is pertinent to note that while RBI has lowered their inflation forecasts, they still continue to sound a lot of caution of various fronts which pose upside risks to inflation- crude oil prices, fiscal deficit slippage risks, staggered impact of HRA increases, reversal in food prices, likely increases in MSP, and slippage in States fiscal deficit as well. Also its important to note that RBI’s household survey as well as Industrial outlook survey show that firms and households expect prices to move up. Given the ample banking system liquidity and recent measures by govt and RBI on G sec borrowing program, bond prices should remain supported. We expect money market rates to remain benign. The said status-quo was indeed expected based on the premise that there have been no significant changes in terms of inflationary pressures on the economy. From a personal finance perspective this implies no change in the interest pay-outs in the fixed income and debt instruments as well as in retail loan rates. 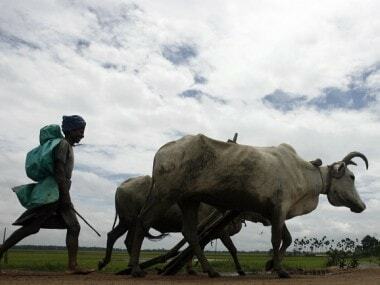 However, the expected upward pressure on inflation such as fiscal slippages at the states’ level, deficient monsoon and increase in minimum support price are indeed causes for concern. Inflation, on account of crude prices in the near-term needs to be closely monitored as well. Impact is noted in the increased fuel prices. Meanwhile, the recovery in growth and the narrowing of the output gap are welcome signs of robust economic activity and this has already reflected in a pick-up in credit offtake. The RBI announced earlier today that all payment system operators, must, within six months, ensure that data related to any payment system it operates is locally stored. It is unclear at this stage whether this requirement will extend to only licensed entities (such as wallet issuers) or also apply to the payment gateways and intermediaries. A data localization requirement will have significant implications for global payment system players, many of whom are have centralized offshore data storage systems. Detailed rules are expected within a week.